Donald Henry Pleasence OBE (October 5, 1919 – February 2, 1995) was an English actor. Pleasence was born in Worksop, Nottinghamshire, England. He was raised in Lincolnshire, England. During his career, Pleasence was nominated for four Tony Awards. He won a BAFTA TV Award for Best Actor in 1959. In his whole career, Pleasence appeared in over 200 movies. He made first his first movie The Dybbuk in 1952. It was a television movie. He acted in several movies, such as You Only Live Once, where he played James Bond villain Ernst Stavro Blofeld, and The Great Escape. Pleasence is known for his role as Dr. Samuel Loomis in John Carpenter's Halloween. Since then, he appeared in five out of the six movies of the Halloween movie series. Pleasence did not appear in Halloween III: Season of the Witch because it was a different story from the last two movies. Pleasence died at the age of 75 in Saint-Paul-de-Vence, France, from complications of heart failure. It was following a heart valve replacement surgery. Pleasence was born Donald Henry Pleasence in Worksop, Nottinghamshire, England on October 5, 1919. His parents were Alice and Thomas Pleasence. Pleasence was raised as a Methodist. He was raised in Lincolnshire, England. Pleasence studied at the Ecclesfield School in Yorkshire, England. During World War II, Pleasence was sent to serve in the Royal Air Force. He served with 166 Squadron, RAF Bomber Command. His war plane was shot down in August 1944, during a raid on Agenville. He was placed in the German prisoner-of-war camp. Pleasence was released before the war's end in 1945. 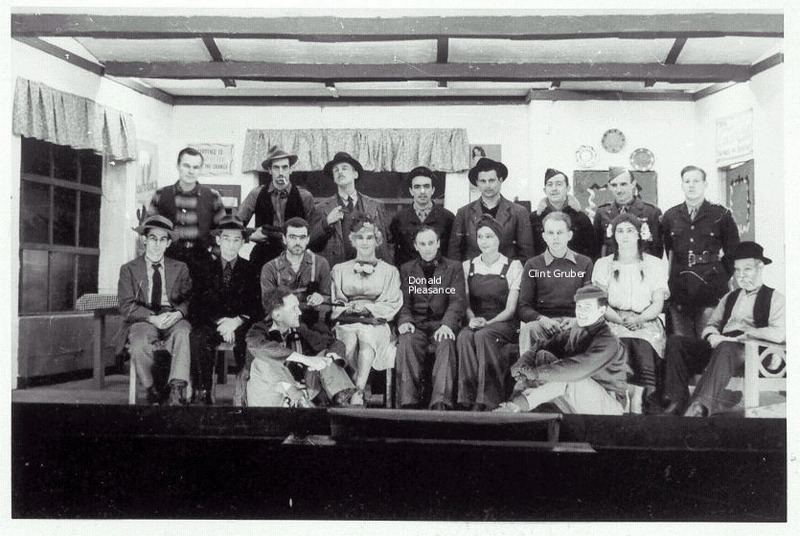 In 1939, Pleasence started working on stage as an assistant stage manager. His first acting job was as Hareton in the stage version of Wuthering Heights. He worked in theatres in Birmingham and Bristol. Later, Pleasence moved to London. There he appeared as Valentine in Twelfth Night in 1942. Pleasence's first television work was in I Want to Be A Doctor in 1946. In 1954, he played Syme in a BBC adaptation of George Orwell's novel Nineteen Eighty-Four. The adaptation was by Nigel Kneale. Pleasence played Prince John in several episodes of the ITV series The Adventures of Robin Hood. Pleasence made his big-screen debut with the 1954 movie The Beachcomber. Some early roles include Parsons in 1984 (his second Orwell movie). He also appeared in minor roles such as in Barnacle Bill and in The Wind Cannot Read. In Tony Richardson's movie, Look Back in Anger, he plays a market inspector. During the early 1960s, Pleasence recorded several children's-story records. They were released in the United States as Tale Spinners For Children by United Artists. The stories included Don Quixote and the Brave Little Tailor. Pleasence did the voice-over for the British Public Information Film, The Spirit of Dark and Lonely Water in 1973. He was the author of the 1977 children's book Scouse the Mouse. In his later years, he appeared as Lucas Deranian in Walt Disney's Escape to Witch Mountain, Dr. Loomis in Halloween, Dr. Kobras in The Pumaman and the President in Escape from New York. He reprised his Dr. Loomis role in Halloween II, Halloween 4: The Return of Michael Myers, Halloween 5: The Revenge of Michael Myers and Halloween: The Curse of Michael Myers. Pleasence's acting career ended when he died in 1995. Pleasence was nominated four times for the Tony Award. He was nominated for Best Performance By a Leading Actor in a Broadway Play. He was nominated in 1962 for Harold Pinter's The Caretaker, in 1965 for Jean Anouilh's Poor Bitos, in 1969 for Robert Shaw's The Man in the Glass Booth, and in 1972 for Simon Gray's Wise Child. Pleasence was married four times. He married Miriam Raymond in 1941. They divorced in 1958. He married Josephine Crombie in 1959. They divorced in 1970. He married Meira Shore in 1970. They divorced in 1988. He was last married to Linda J. Kentwood in 1988. Their marriage lasted until Pleasance died in 1995. Pleasence had five daughters. He and Raymond had two daughters, Angela and Jean Pleasence. He and Crombie had two daughters, Polly Jo and Lucy. He and Shore had one daughter, Miranda. Pleasence died from heart failure after heart surgery in Saint-Paul-de-Vence, France on February 2, 1995, aged 75. His remains were later cremated. His last full movie, Halloween: The Curse of Michael Myers was dedicated in his memory. 1963 The Great Escape Flight Lieutenant Colin Blythe RAF, "The Forger"
1973 Columbo Adrian Carsini "Any Old Port in a Storm"
↑ "England and Wales Births 1837–1983". Freebmd.org.uk. Retrieved October 6, 2010. ↑ 2.0 2.1 "Donald Pleasence's Biography". Pleasence.com. Retrieved October 6, 2010. 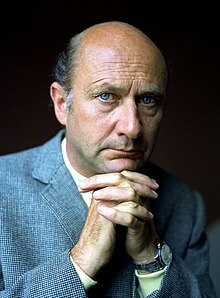 ↑ 3.0 3.1 3.2 3.3 3.4 3.5 3.6 3.7 "Remembering Donald Pleasence". Western Allitaliana.com. Retrieved October 23, 2014. ↑ 4.00 4.01 4.02 4.03 4.04 4.05 4.06 4.07 4.08 4.09 4.10 4.11 4.12 4.13 4.14 "Donald Pleasence, Virtuoso Actor, Dies at 75". New York Times.com. Retrieved October 23, 2014. ↑ 5.0 5.1 5.2 5.3 5.4 5.5 5.6 "Donald Pleasence". NNDB.com. Retrieved October 23, 2014. ↑ 6.0 6.1 6.2 6.3 "Donald Pleasence biography". TCM.com. Retrieved October 23, 2014. ↑ "Donald Pleasence's biography". Pleasence.com. Retrieved October 23, 2014. ↑ 8.0 8.1 "Donald Pleasence". MTV.com. Retrieved October 23, 2014. ↑ 9.0 9.1 9.2 "Obituaries: Donald Pleasence". The Independent. 3 February 1995. Retrieved 14 February 2012. ↑ 10.0 10.1 10.2 "Donald Pleasence (1919)". Mediatly.com. Retrieved October 23, 2014. ↑ "Donald Pleasence". Hollywood Grave Hunter.com. Retrieved October 23, 2014. ↑ "Donald Pleasence". Osuniverse.com. Retrieved October 23, 2014. Wikimedia Commons has media related to Donald Pleasence. This page was last changed on 29 October 2018, at 00:32.